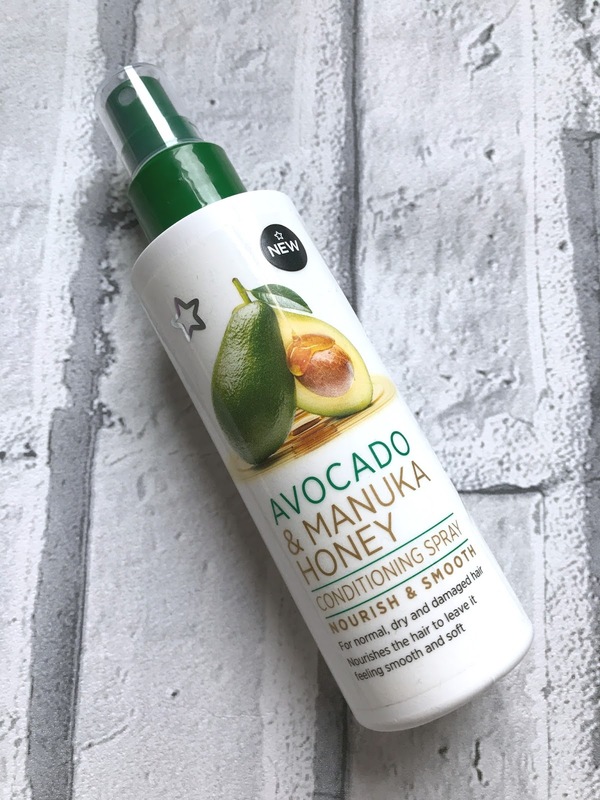 Superdrug is my favourite place to buy beauty products on the high street, they have some amazing product ranges and I love all their own brand products, so when I received their brand new range of hair care products the Nourish And Smooth Avocado & Manuka Honey range, I couldn't wait to try it. 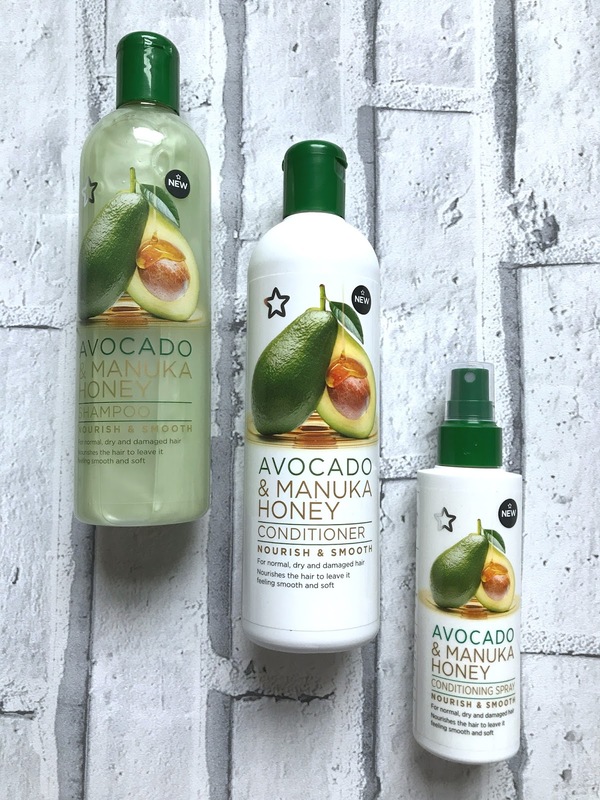 There are 3 products within the range, the Avocado & Manuka Honey Shampoo £3.99, Avocado & Manuka Honey Conditioner £3.99 and the Avocado & Manuka Honey Conditioning Spray £3.99 the shampoo and conditioner contain 400ml which is a fabulous amount of product and the conditioning spray contains 150ml, being a Superdrug brand, all the products are cruelty free and suitable for vegetarians. Avocado is a very talked about and hyped up at the moment, I haven't ever tried it, and after I have been told it can be a little slimy, you won't see it gracing my Instagram feed anytime soon, but I do see it a lot in other peoples breakfast/lunch/dinner snaps and although I haven't consumed it, I do know that Avocado is known for having benefits to our beauty routine as well as being good for the body. I can remember way back seeing recipes for face masks containing it in my mums magazines, and just a couple of days ago my mum bought me a jar of Manuka Honey since she read that taking a spoonful every day can help with one of the conditions I suffer from, I also have skincare containing it so, like the Avocado it has benefits both to the body and beauty benefits too. 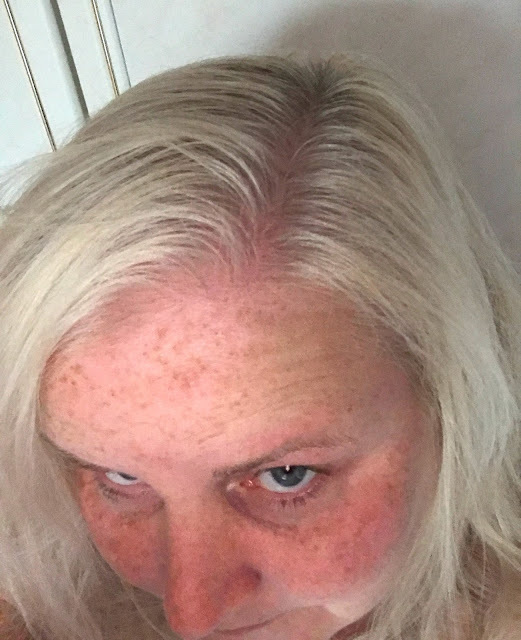 The haircare range is suitable for normal, dry and damaged hair, my hair is very oily but it is also coloured and although my hair isn't bleached, having my hair tinted every 5 to 6 weeks I do like to look after my hair and using products suited to an oily hair type all the time wouldn't be good for my hair as these products are usually designed to strip the hair, so I do like to use products that will keep my hair in good condition too. I received the haircare range just before I went on my holidays so I couldn't start using it until I arrived home, but whilst on holiday myself and my daughter used the Superdrug Extracts Aloe Vera & Mango shampoo and conditioner every day for 2 weeks and my hair looked and smelled amazing, so I had high hopes for this range too. 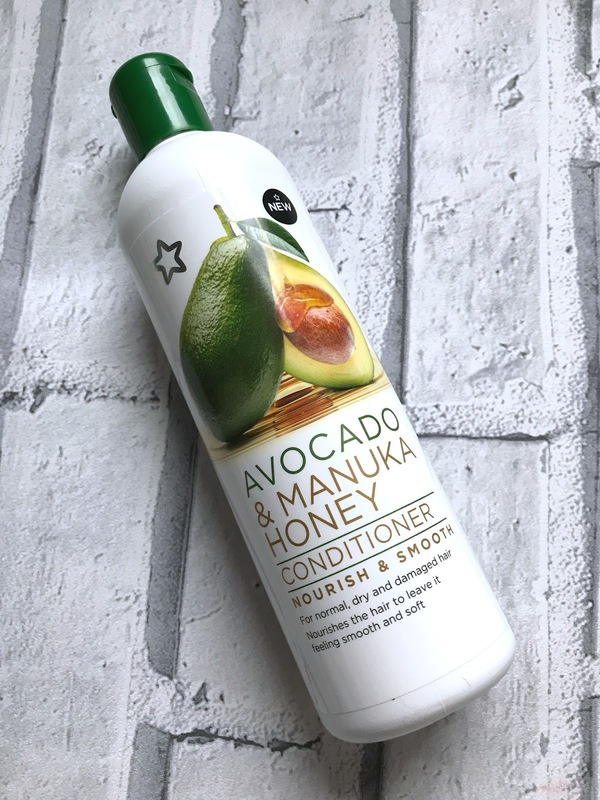 The shampoo and conditioner are enriched with avocado and manuka honey to effectively cleanse normal, dry or damaged hair, the formula smooths the cuticle of the hair to help tackle frizz and leave the hair soft, smooth and shiny. The shampoo lathers up really well and rinses out with ease and the conditioner is easy to work through the hair, I only have the conditioner applied to the mid lengths and ends of my hair as conditioner can make my hair look greasy. My hair feels absolutely lovely after using the shampoo and conditioner, it smells amazing too, the products have a really lovely scent, but most importantly, my hair feels soft and smooth and looks really healthy and shiny. The conditioning spray is a leave in conditioning spray and once my hair has been towel dried after washing, I have the conditioning spray, sprayed all over my hair and then have it brushed through and dried and styled as normal. Like the shampoo and conditioner, the conditioning spray smells absolutely lovely and after using it my hair smells amazing and I can smell it on my hair for a couple of days at least, it is lovely, not over powering just a really lovely scent. My hair is a beast when it's wet after towel drying, it is really knotted, even when I use conditioner, but the conditioning spray does make it easier to brush through my hair, when I first used the conditioning spray, I thought because it is a leave in product that my hair would get oily really quickly but it doesn't. The conditioning spray also offers protection from heat styling which is brilliant because one thing I always forget to do is use a heat protection spray, the conditioning spray also adds a delicate film to the hair which helps shield the hair from physical stress, such as pollution particles. 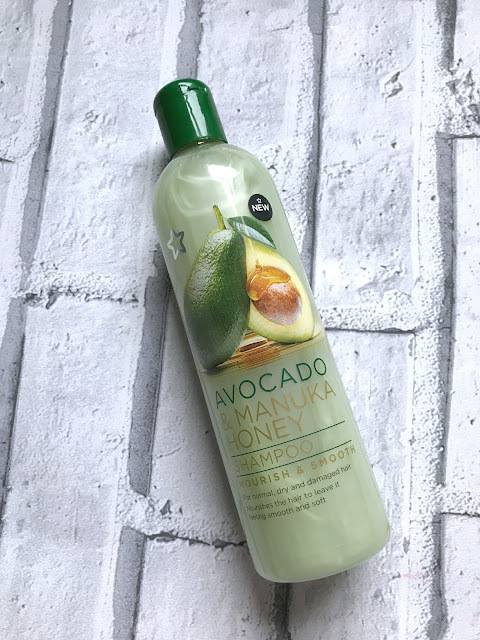 As I said earlier in the post, I had high hopes for the products in the range since using the aloe vera and mango Superdrug hair products on holiday and the Avocado & Manuka Honey range didn't disappoint. 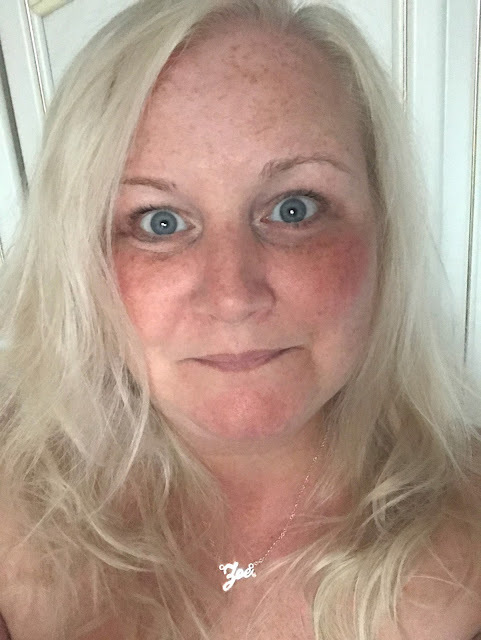 I first used the products 2 days after returning from my holiday, my hair hadn't been washed since the night before we came home, so was 2 days post wash. I used the shampoo and the conditioning spray but not the conditioner the first time I used the products, I felt using all 3 might make my hair oily. Now if you're a long time reader of my blog, you'll know that if I use hair care that isn't suited to oily hair, I have to wash my hair daily, and if I do use hair care suited to oily hair I can leave my hair every other day if wearing it down, or every 2 to 3 days if I use some dry shampoo and wear it up. I was absolutely astounded when I didn't need to wash my hair after 3 days and hadn't used any dry shampoo either, so I thought I would do a little experiment and see just how long my hair would last without needing to be washed. Bearing in mind I washed my hair on Thursday morning, by the Monday my hair still wasn't oily, I had started to wear my hair up, just because it is much easier for me but I hadn't used any dry shampoo, the following day I needed a little dry shampoo at the crown of my head, this is 5 days post wash and completely unheard of and I actually didn't wash my hair until the THURSDAY morning, yes you read that right, I was able to leave my hair for SEVEN WHOLE DAYS without washing it!!! Usually I would have washed it before the Thursday morning but like I said, I wanted to see how long I could leave it. I took some photographs of my hair to show you, these were taken when I'd literally just got up on the Thursday morning, so 7 days post wash and I had only used a little dry shampoo at the crown once. Please excuse the just got up no makeup face and bad photography, but I snapped these quickly before getting in the shower because I was so shocked. As you can see, my hair is only really oily along my parting and at my crown. I was so shocked and couldn't believe my hair had lasted a full week without me needing to wash it, that is completely unheard of for me, my hair is super oily and can sometimes be washed in the morning and be looking oily by the same evening. I am so pleased with this range and have already re purchased so I have a back up, both my daughters use and love the products too, Cole has dry/bleached hair and Lissy's hair is exactly like mine and they are both really happy with all the products too. Cole uses all 3 products on her hair every time she washes her hair and I use the shampoo and conditioning spray or the shampoo and conditioner as does Lissy, and then in-between I use a shampoo for blonde hair. Since my little experiment I haven't left my hair for a week without having it washed, but I don't have to have my hair washed as often, and have been having my hair washed twice a week and 3 times at the most, depending on circumstances and I use a shampoo for blonde hair once and the Avocado & Manuka Honey range the rest of the time. I am so impressed with this range and I hope Superdrug expand it as the products are amazing and work much better and leave my hair looking and feeling much better than products I have used that are four times the price of these. If you haven't yet tried the Superdrug Nourish And Smooth Avocado & Manuka Honey hair care range, then I urge you to, you won't regret it and currently the products are on a 2 for £6.00 promotion so it is a good time to check them out if you haven't already. Have you tried the Superdrug Nourish And Smooth Avocado & Manuka Honey hair care range? Or any Superdrug hair care products? Let me know in the comments below.